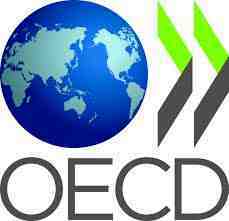 Stronger, more inclusive and sustainable growth, better job opportunities and a reduction in the level of public debt in Italy require a comprehensive programme of far-reaching reforms while maintaining the important measures taken in recent years, according to a new OECD report. The latest Economic Survey of Italy says the country’s GDP is expected to fall by around 0.2% this year before growing 0.5% in 2020. GDP per capita is broadly at the same level of 20 years ago and poverty remains high, especially among the young. Low productivity growth and wide social and regional inequalities are long-standing challenges which need to be tackled vigorously. The public debt as a share of GDP remains high, at 134%, and a source of risks. The report says Italians generally have high levels of well-being in areas such as work-life balance, social connections and health, but not in others such as environmental quality, education and skills. To support stronger employment and productivity growth, improve well-being, and help to put the debt-to-GDP ratio on a downward path, the Survey proposes an ambitious reform package. According to OECD simulations, by 2030, annual GDP growth would increase from 0.6% under current policies to above 1.5% if such reforms were implemented. The report identifies strengthening the effectiveness and efficiency of the public administration and justice system among the reforms proposed that would have the biggest impact on GDP. The government’s 2019 budget rightly aims to help the poor through the new Citizen’s Income (Reddito di cittadinanza), says the report, but it will be important not to weaken work incentives so as to avoid poverty traps. The high level of the Citizen’s Income benefit – relative to other OECD countries – might discourage people from finding jobs in the formal sector, especially in regions where wages are lower. To counter this problem the report proposes to introduce an in-work benefit system and lower the Citizen’s Income benefit. The survey adds that the effectiveness of the Citizen’s Income will depend critically on marked improvements in job search and training programmes. It welcomes the additional resources allocated to public employment services but warns that improvements will require a detailed plan to revamp their operations through more extensive use of information and technology, and profiling tools. The report also warns that the reduction in the retirement age - to 62 with at least 38 years of contributions – though only temporary, could lower economic growth in the medium term by reducing work among older people and worsen intergenerational inequality. The number of people in work has risen to 58% of the working age population, but Italy’s employment rate is still one of the lowest among OECD countries, especially for women. Big differences in employment rates explain much of the disparities in living standards between regions. Job quality is also relatively low. An increasing share of new jobs are temporary and the mismatch between people’s skills and the work they do is high. Reform action taken in recent years, such as increasing autonomy and resources in schools (Buona scuola), Industry 4.0 and the Jobs Act have started to address some of the country’s challenges and it will be important not to backtrack on them. At the same time, it will be necessary to boost productivity growth by increasing competition in markets that are still protected such as local public services, enhancing administration efficiency and reducing barriers to entrepreneurship. Without sustainable public spending and taxation policies, the room to improve infrastructure, help the poor and deliver the services people expect will inevitably narrow, the report says. Designing budgets within the EU Growth and Stability Pact, which should be implemented in a pragmatic way, would help strengthen the credibility of Italian fiscal policy and reduce its risk premium. Lower government bond yields would also help safeguard the stability of banks. The health of the banking sector has improved markedly as banks’ non-performing loans have declined and the sector is being rationalised and consolidated. Public spending needs to become more efficient and better targeted through designing and implementing spending reviews in the budget making process. The tax system needs to be made fairer through improved voluntary compliance, avoiding repeated amnesties and fighting evasion forcefully. With public investment having fallen as a share of GDP in recent years, the report recommends speedier implementation of the new public procurement code, which it says is well thought out. Simplifying the most complex aspects of the new code should not weaken the power of the anti-corruption authority. To help reduce wide regional divides across Italy, improved coordination is needed between central and local bodies – whose capacity needs to be strengthened - to ensure more effective spending of regional development and EU cohesion funds.